Most of us are used to getting our salary through 2 methods; transferred into our bank accounts via online banking or the tedious way of cheques. 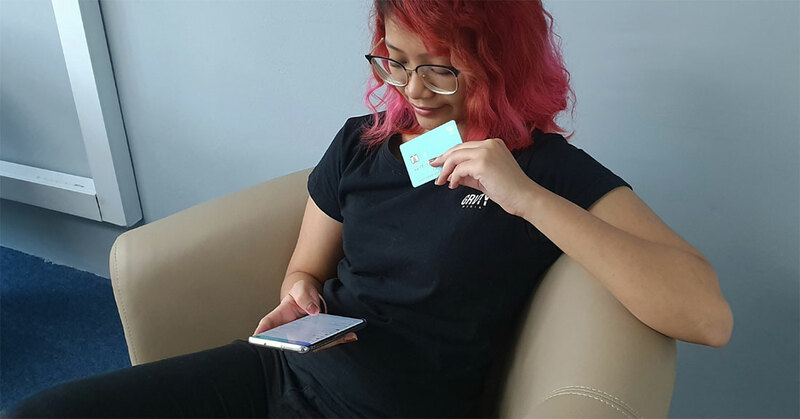 But nowadays, mobile payments or e-wallets are quickly on the rise and becoming the preferred mode of payment among the millennial generation. So could this be something employers can look into to transfer monthly salaries to their employees? 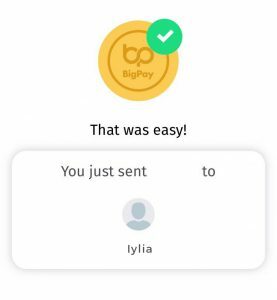 To test it out, we partnered with BigPay for a little “experiment”. We figured out a way for my boss to transfer my salary through BigPay and the challenge here is for me to manage all my spendings via the app for an entire month. 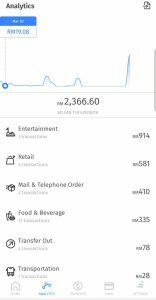 As someone who is already a user of e-wallets in general, I was curious to see how well I would fare going completely cashless for a whole month. Week 1: Making reservations for a special dinner. The end of February marked my boyfriend’s birthday, so to celebrate, I took him out for a nice dinner at Dining In The Dark KL. As someone who has been there about 4 times myself, I normally make a reservation by giving them a call but this time, I decided to scour around online to see if there were any specific deals. I found that I could make an online reservation via the Tableapp website which not only gave me a discount, but there was also an option for me to slip in that I wanted to surprise my boyfriend with a birthday cake during our dinner. Week 1: Becoming the person in the office that pays for meals first. After about a full week of using BigPay, it started dawning on me how going cashless wasn’t as easy as I thought. All thanks to the smaller merchants out there (like the hawker uncles and aunties near my office) that don’t accept anything but cold hard cash. Thankfully, a lot of my colleagues are regular users of BigPay too, which made it easier to pay them back for my lunch meals. All they really needed to do was send me a request on BigPay with the amount and the debt would be instantly settled. However, there were times when we went for lunch as a large group, so most restaurants prefer for us to split the bill amongst ourselves. These moments are when I feel like a #bawse as I pass my BigPay card over to pay for everyone’s meals first. Afterwards, I’d upload the receipt and split the bill among my colleagues where they could then send me the funds (or reject it if they were feeling a little playful). 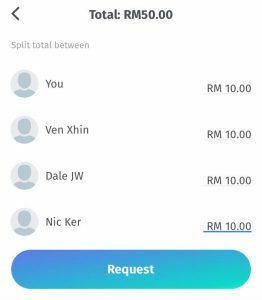 There’s also an option to split the bill directly from the transaction details on the BigPay app, making it more convenient. Week 1: Paying off my monthly commitments. One of the first things I do when I receive my monthly salary is pay off my car loan instalments, and it’s normally a straightforward process. Unfortunately, my bank doesn’t recognise BigPay as a payment option so I had to rely on other methods to transfer the funds. 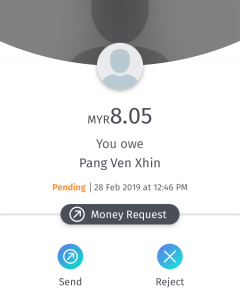 The fastest way was to go to the bank and withdraw the funds from my BigPay account, which came with a RM6 withdrawal fee. Since I was already withdrawing cash for my car loan, I decided to also take out funds to pay off my credit card bill as I faced a similar issue using BigPay to pay for that as well. However, I did hear that BigPay users would soon be able to transfer funds to banks – right from their app! That’ll definitely solve this issue. Week 2: When international sales are too tempting. I’ll admit, I’m quite a shopaholic and one thing I can never pass up is shopping for makeup. As a collector of beauty products, I’m always on the hunt for any upcoming sales where I can go all out and just splurge. 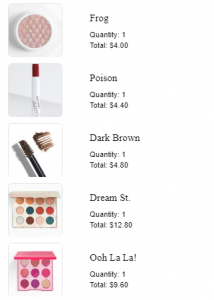 One website I regularly check out is called Colourpop, a brand that is based in the U.S—I’ve never really purchased anything there before as I wasn’t too sure on how much my card would be charged based on the exchange rates. But this month, they had a huge 20% sale site-wide and I couldn’t resist. 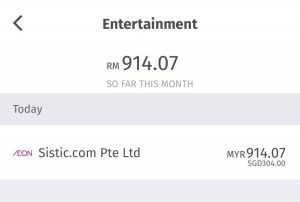 After piling all my wishlist items into my cart, I checked out and BigPay instantly notified me of how much I was charged with equivalent in MYR. I found this really helpful because it gave me a clear idea on what the exchange rate was like at that time, while showing me that there weren’t any other hidden fees that were charged to me. 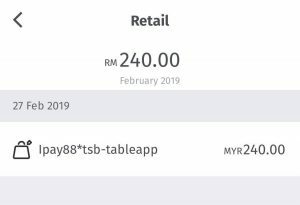 If I had used my usual credit card, the final bill would’ve ended up at almost RM222 which is a difference of roughly RM8. That’s quite a sum saved, especially considering the fact that I do buy items overseas frequently. In a year, I can say that I could easily save up at least RM100 from my international transactions. Now is the actual tough part: waiting for the package to arrive. Week 2: Time to seriously get my fitness back on track. 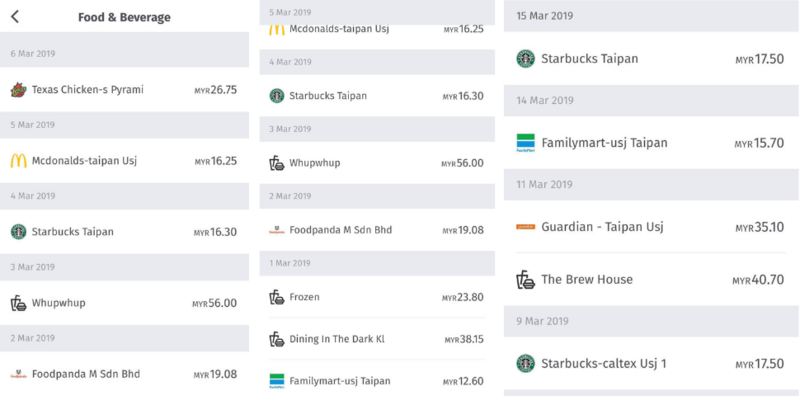 After two weeks of using BigPay regularly, I grew to really rely on the analytics feature to keep track of my expenditure. That helps me with budgeting but it also shows me a huge fact; I eat out too much. I’m not ashamed to treat myself to good food, but I never really noticed the sheer amount of money that I can spend in a span of a few days for these meals. To not add on to the guilt so much, I tried to become more consistent with my gym workouts. I was following routines from this Instagram fitness coach and after doing her suggested workouts for a few weeks, I decided to spend a few bucks to learn more from her. I bought her e-book/programme that is supposed to really transform your overall mindset and perspective about working out. Again, thanks to BigPay’s analytics, I knew immediately how much it cost after currency conversion which was pretty cool. Here’s to (hopefully) a healthier me. Week 3: Preparing for a “whole new world” in Singapore. 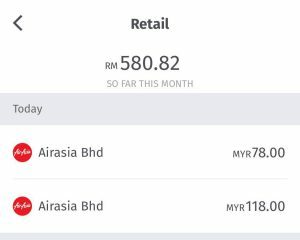 As I was approaching the final days of only relying on BigPay for my daily necessities, I knew I had to take advantage of one of their biggest strong points: buying AirAsia tickets. My best friend and I are planning on seeing the Aladdin Broadway Musical in Singapore this coming August, so I offered to book our flights for us. I saved about RM50 in total from using BigPay to pay for these tickets, which is a big deal when broadway tickets aren’t exactly the cheapest things to buy. 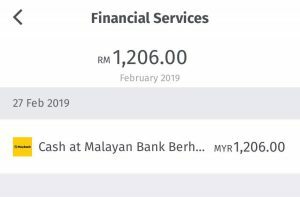 Overall, it was definitely an interesting experience going cashless for a whole month. Living in an urban area, I’m used to using mobile payments as my main mode of payment and despite a few hiccups here and there where I was forced to withdraw money, it was a pretty seamless experience. The analytics feature was definitely something that stood out to me. I’m quite proud to see the different categories on my analytics tab because I believe it shows how versatile BigPay can be with its transactions. I quickly fell into a routine of opening the analytics tab after every purchase to check on how much it added to my overall expenses, which helped me realise a lot about my shopping habits. Especially when it comes to food. Definitely going to try and not indulge too much next month! Another thing that BigPay impressed me with is how it handles international purchases. Being able to see the conversion immediately and the fact that there aren’t any hidden charges is a huge advantage compared to my usual credit cards. Will be sure to rely on this card for my future international purchases too. A teaser on what the new analytics screen will look like. 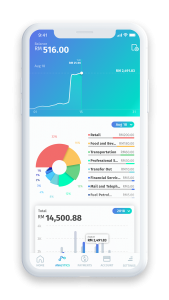 BigPay did share with me that they’re planning to give users a fresh analytics experience soon with a brand new layout and judging from the teaser above, it looks like it’ll make tracking my expenses a lot easier. There were features that I unfortunately couldn’t make use of, such as using it in a foreign country, but from what I’ve gathered after making this my only wallet for a month, I wouldn’t be too worried if my employer continues to pay my salary through this method. For more information on BigPay, you can check out their official website here. This article was written in collaboration with BigPay.